Groupe Legendre is a major construction, real estate, and energy group with offices and projects across France, the UK, and Algeria. The company has been a pioneer in the field of virtual reality for architectural visualization, showing their clients immersive representations early in the process to invite feedback and collaboration. Guillo and his preconstruction team of around 15 designers and engineers have been creating VR, AR, and flat-screen visualizations for clients for several years. With the most recent updates to Datasmith, they can get clients immersed in these 3D experiences at an unprecedented speed, sometimes just a couple of days after starting the project. When they first started exploring real-time rendering for VR, Guilllo’s team experimented with a variety of solutions. They chose Unreal Engine for its image quality, Blueprint visual scripting, and ease of use. Before Datasmith became available, Guillo and his team initially developed a pipeline where they exported Revit models to 3ds Max, then imported those scenes to UE4 using FBX and MAXScript. 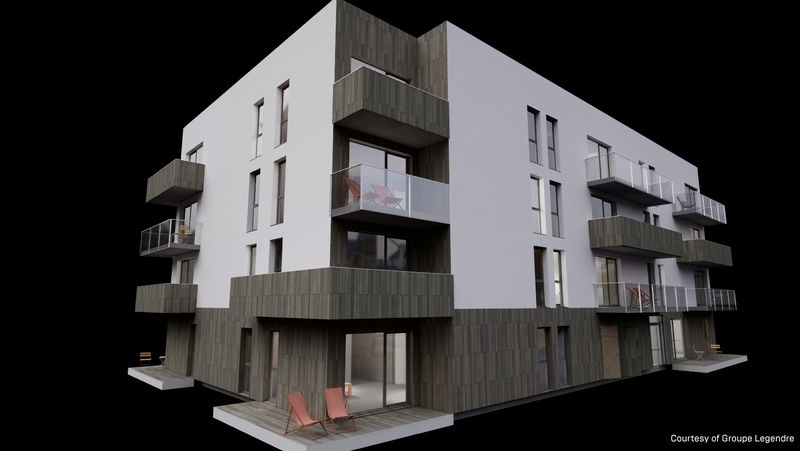 While the image quality and client navigation tools in Unreal Engine worked out great on the client-facing end, the development process had its limitations—data-prep and cleanup were time-consuming, and the team had to gather BIM data in a spreadsheet and export it separately. When Datasmith was released as part of the Unreal Studio beta, Guillo and his team started using it instead of FBX to import the 3ds Max files. “From the beginning of the testing phases, we were hooked by the simplicity and effectiveness of Datasmith,” says Guillo. 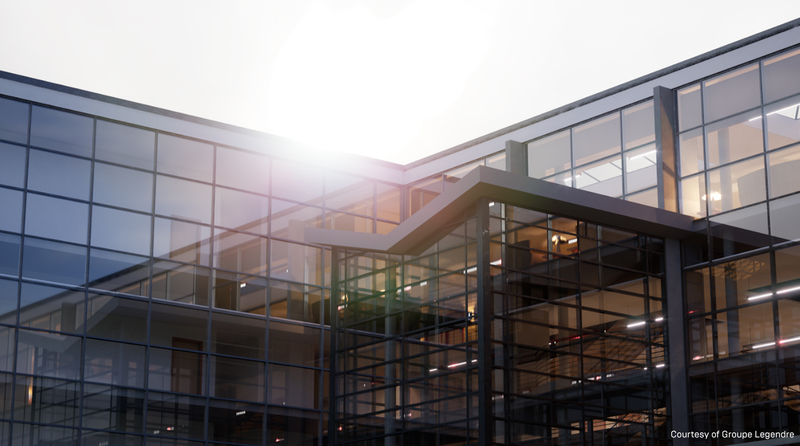 But while Datasmith improved processing times, Guillo and his team wanted to take things a step further and go directly from Revit to Unreal, thus avoiding the conversion to 3ds Max in the middle. “We suggested to the Datasmith team that a Revit plugin might be a good idea, since a good number of BIM engineers and architects use it,” says Guillo. When Datasmith for Revit was released earlier this year, it was love at first use for Guillo’s team. “It removed a massive weight off our shoulders,” he says, adding that the tool sped up import by up to 100x. With their speedy new Datasmith pipeline, Guillo’s team is taking on ever more ambitious projects and continuing to wow their clients with VR. “All our clients are impressed by our demos,” says Guillo. “We so often see what we call the ‘Oh face’, where they put on the headset and just say, ‘Oh! Oh!’ over and over,” he laughs. Guillo adds that the use of VR isn’t just about impressing clients—equally important is the feedback for the design and engineering teams. “We gather all the clients’ comments at the earliest steps of the project, and our specialists are able to then modify the building models accordingly,” he says. 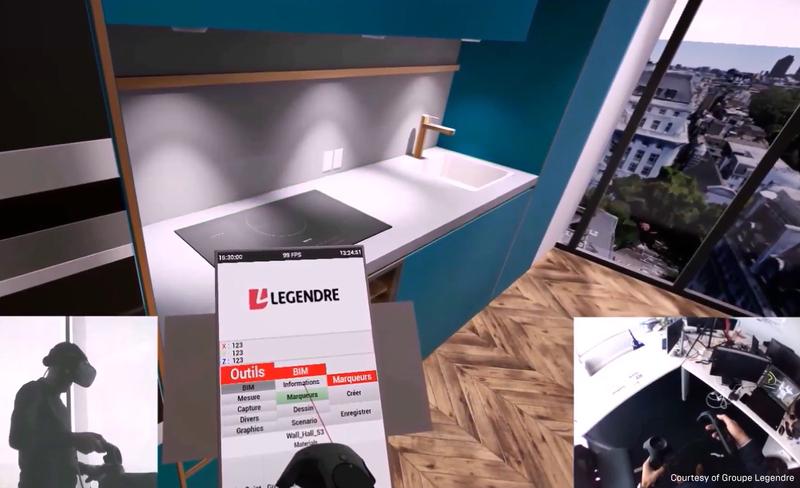 Groupe Legendre’s most recent projects include a fully customizable and interactive virtual apartment for a high-end building, and a demonstration of a future office building to over 100 of a client’s employees. They’ve also been to events all over the world to showcase what VR can do for architectural visualization and BIM engineering. 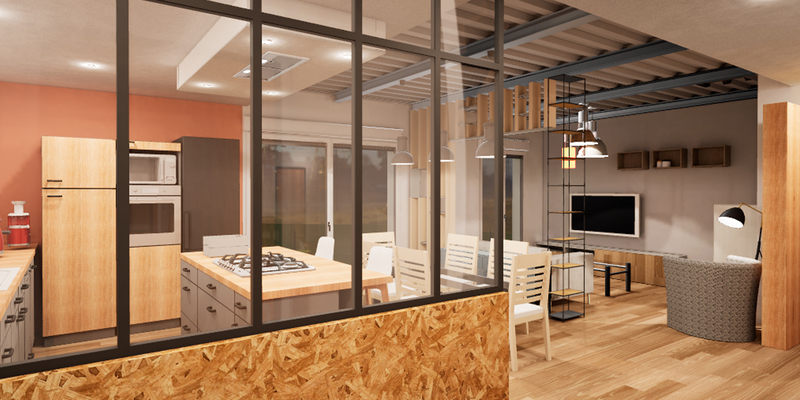 To start creating your own VR experiences for architectural visualization, download the free Unreal Studio beta, then check out our free video training series on architectural interiors with Datasmith.